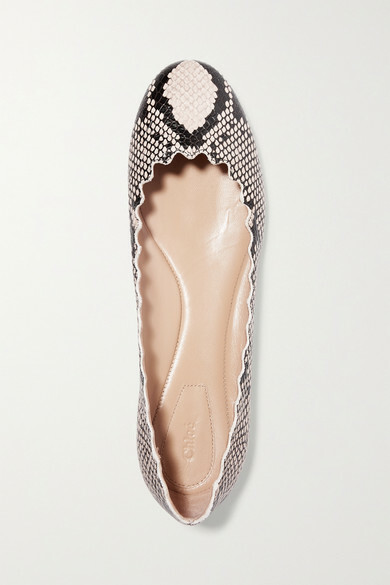 It's always worth having a pair of Chloé's 'Lauren' ballet flats in your closet for times when you want to make casual outfits feel that bit more sophisticated. 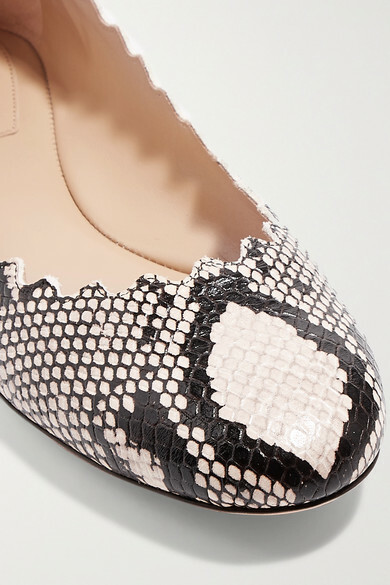 Made from snake-effect leather, they have signature scalloped trims, a round toe and low 10mm heel. 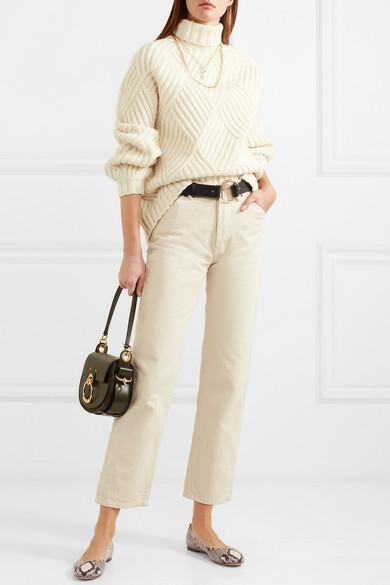 Shown here with: Vanessa Bruno Sweater, Jacquemus Jeans, Chloé Shoulder bag, Chloé Belt, Chloé Necklace, Chloé Necklace.